The ideal cost solution for Vertical Flat Storage up to 30"x42". Perfect for media flat storage with the convenience of a Vertical File. Stackable with labeling on top, front & side for easy identification. Interior partitions and rigid "VFolders" provide flat storage. 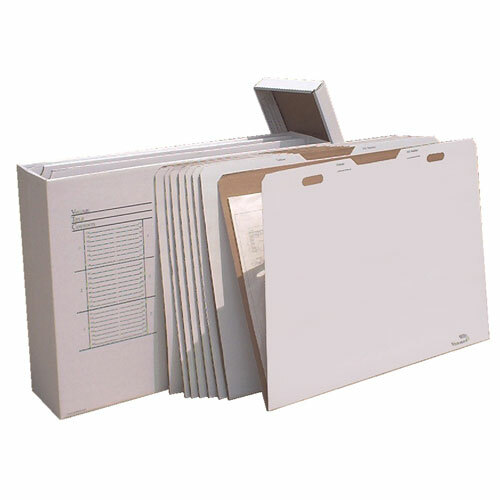 The VFile43 holds 24 VFolder43's with up to 840 sheets.